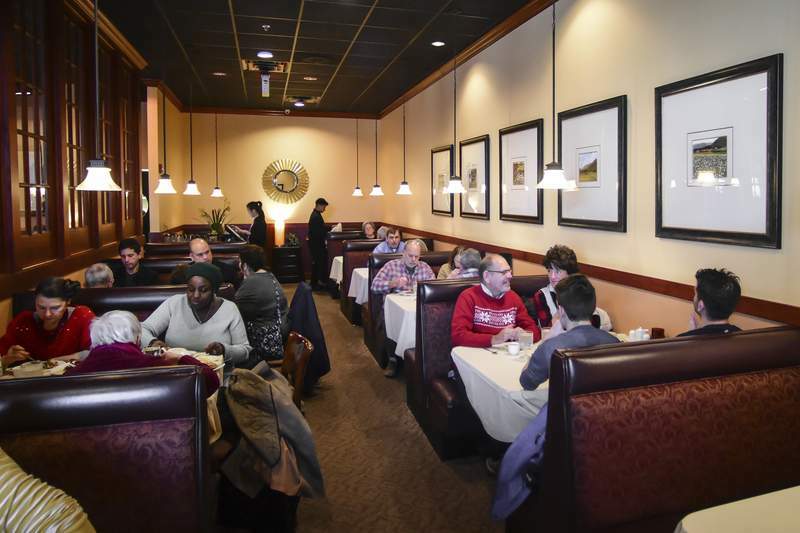 Diners fill Wu’s Fine Chinese Cuisine on Coldwater Road on Tuesday. Families enjoy Christmas dinner at Yen Ching. After attending Christmas Day service at Emmanuel Lutheran Church and caroling at Lutheran Hospital, Cara and Aaron Wentland were ready to eat. Instead of sating their appetite at home, they joined the small crowd waiting for a table Tuesday at Yen Ching in Covington Plaza. The southwest Fort Wayne eatery seats about 130. 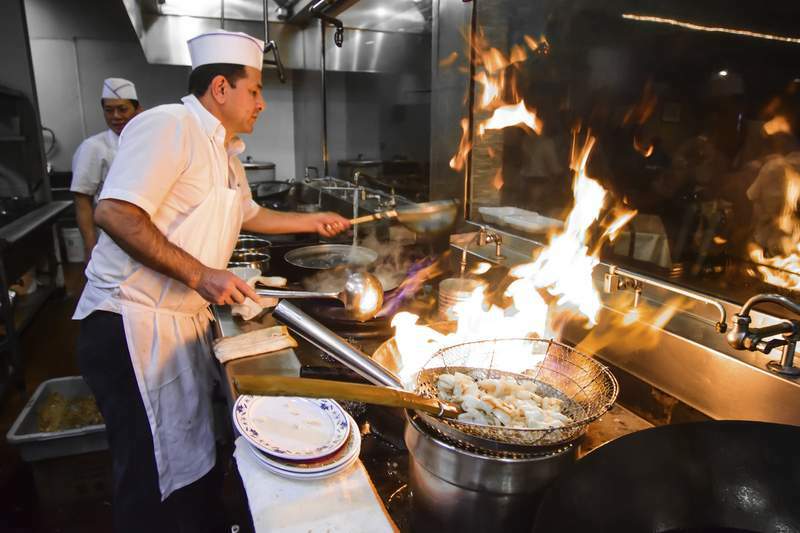 Although dining at a restaurant on the holiday was a first for the couple, others at Yen Ching and Wu's Fine Chinese Cuisine across town described it as tradition. “We come to a Chinese restaurant on Christmas Day because the other places are closed,” said Barb Zoch, who visited Yen Ching with her husband, Allen. Indeed, dining options were limited Tuesday. Many major chains near Wu's – including Olive Garden and Cheddar's Scratch Kitchen – were deserted. Wu's, meanwhile, offered a Christmas menu – lettuce wraps, wonton soup, orange chicken and hot burned pork were among the options – and bustled with diners and ringing telephones. Some patrons made reservations while others walked in to waits as long as 40 minutes. The Coldwater Road restaurant has capacity for 146. The Eastlick family, among others, said the experience was worth the convenience. As transplants from Arizona, the Eastlicks don't have extended family in Fort Wayne. They said cooking a big meal for just three people – parents Darrin and Julie and daughter Carolyn, 16 – isn't worth the effort. Dining out for the holidays is “so much easier,” said Darrin Eastlick, who regularly works 12-hour shifts and appreciated the family time. Christy and Tyrone Vaughn, who also visited Wu's, agreed. On a day meant for family, Christy Vaughn said, it's difficult to carve family time around preparing meals and the cleanup afterward. “If you're the cook, you have no time off,” she said. 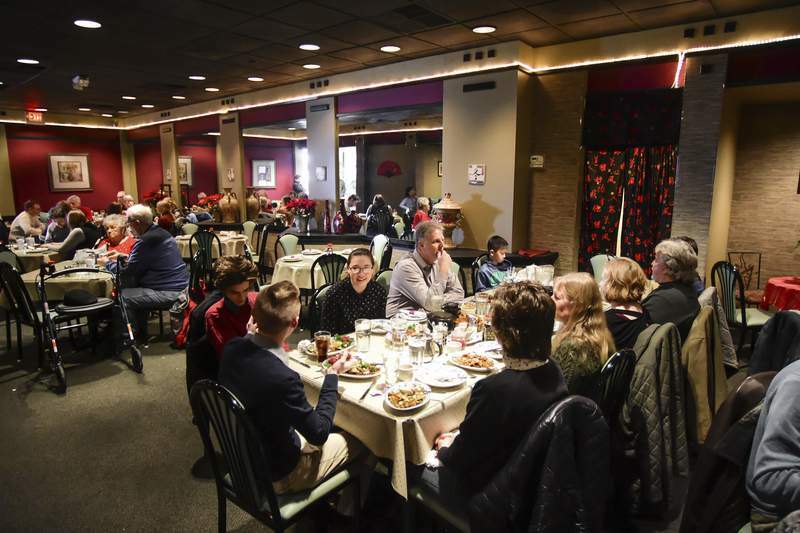 Restaurant owners like being included in families' Christmas traditions. Michael Shin, owner of Yen Ching, said it fills a need among his clientele. “They have no place to go on Christmas,” he said.